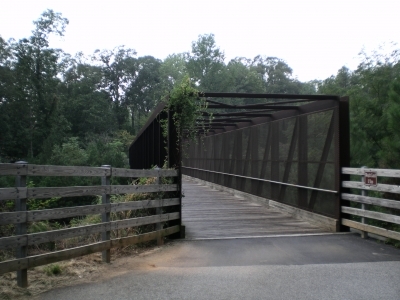 This rail-trail serves as a significant connection between urban Marietta and surrounding neighborhoods, numerous side trails, and the 105-acre Heritage Park. This rail-trail serves as a significant connection between urban Marietta and surrounding neighborhoods, numerous side trails, the 105-acre Heritage Park, and connects at Alabama state line to the 33-mile long Chief Ladiga Trail. 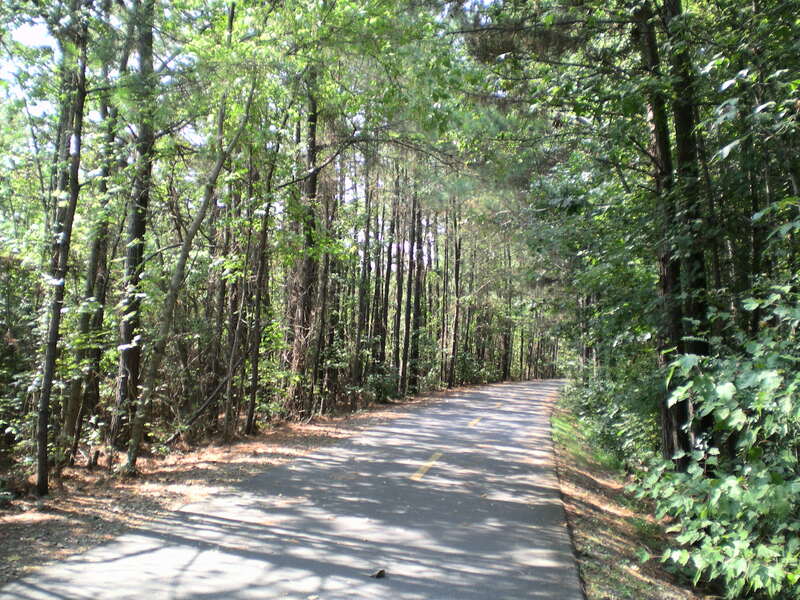 This multi-use trail provides access to significant natural beauty that is unusual in metropolitan areas. Amidst historic woolen mills and scenic vistas, this rail-trail allows for recreational activities such as biking, jogging, hiking, and horseback riding. 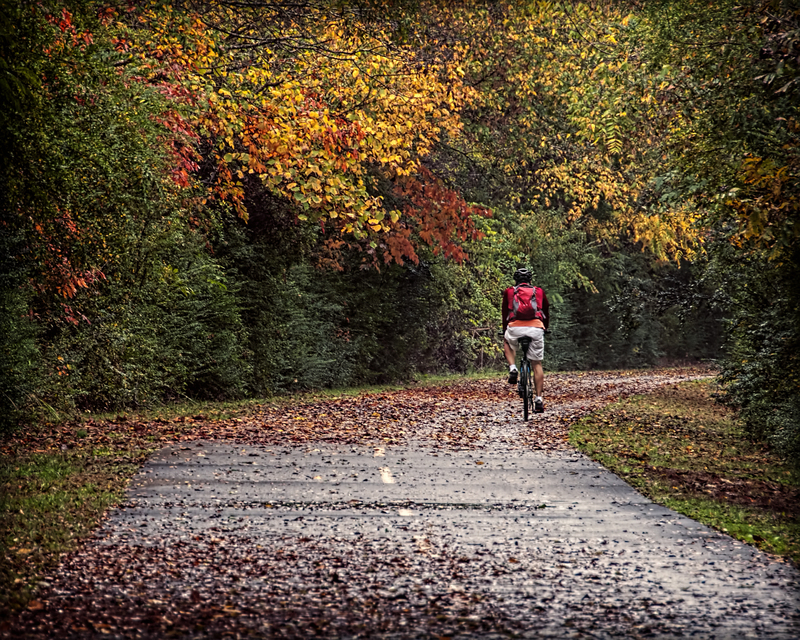 A bicyclist on a beautiful autumn day. Photo by Clara Williams. 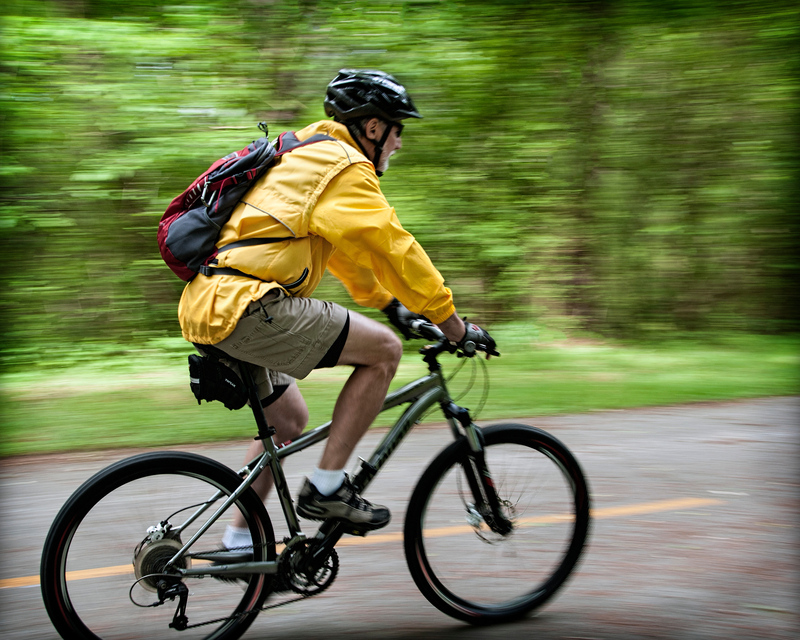 A panning shot of a bicyclist on the Silver Comet Trail. Photo by Clara Williams. 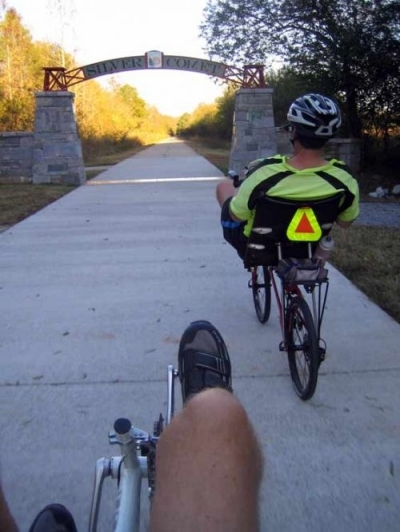 Two recumbent riders coming back in late in the evening on the Silver Comet Trail near Cedartown, GA. Photo by Don Sullivan. The State Line Gateway welcomes trail users to the State of Georgia on the Silver Comet Trail, near Cedartown, GA. Photo by Don Sullivan. The 'Last Foot of Trail' marker, denoting the last completed foot of trail in the final segment of the Silver Comet Trail. Photo by Don Sullivan. One of the trail's many foot bridges. Photo by John Terrill. 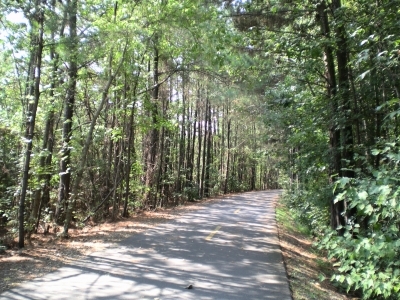 Wooded area. Photo by John Terrill.